I wrapped up my blogging of Pivot for the Neenah Paper blog by covering some letterpress posters and my looking at RVs. And for our audio recap of the conference, we brought in Cami Travis-Groves, Mike Joosse, and Bill Moran of Hamilton Wood Type & Printing Museum. After seeing his letterpress posters I covered, how could I not? 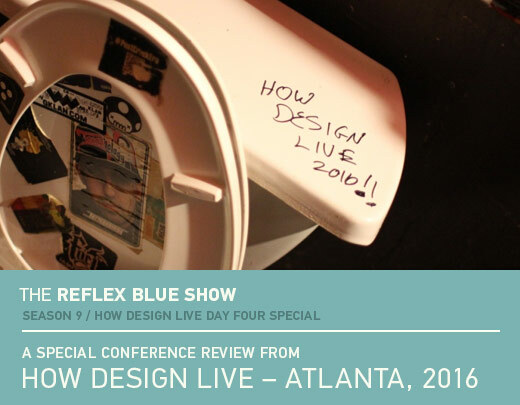 Download The Reflex Blue Show: AIGA Pivot Conference Special: DAY THREE or, click here to subscribe to The Reflex Blue Show from the iTunes Music Store.